Rochester Gas & Electric No. 1941 is the oldest operating locomotives in our collection. 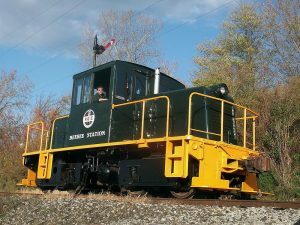 Originally produced by General Electric in 1941 for use at its own Riverworks plant in Lynn, Massachusetts, this industrial switching locomotive passed through several owners before coming to the Livonia, Avon & Lakeville Railroad in 1964. They, in turn, sold it to Rochester Gas & Electric Corporation in April, 1965. RG&E used it most recently at the BeeBee Power Plant off of State Street in Rochester until 1991 when it was acquired by the museum. 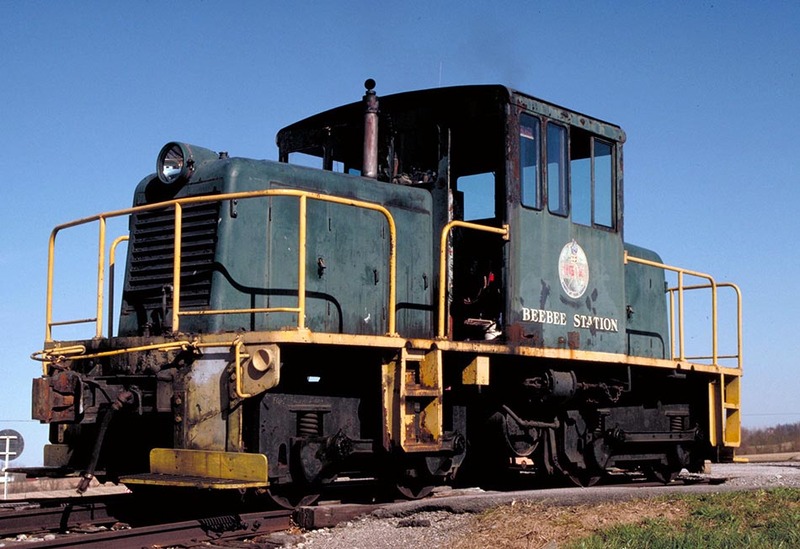 The historic 380 horsepower side rod locomotive is powered by two six cylinder diesel engines. RG&E made this locomotive available to the museum at a very reasonable price, and Conrail cooperated by moving the locomotive to the Museum at a nominal move charge on September 9, 1991. Since the locomotive had no number at RG&E, it was decided to number it 1941 for its build date. This was done for several reasons with the most important being safety during train operations. Designed for low-speed switching, only one axle on each truck is powered. The siderods help transfer momentum from the powered axle to the unpowered axle. This unique and historic diesel switching locomotive was returned to active service at our museum in August 2012 after emerging from an intense multi-year restoration and rebuilding by our volunteers. It is used for special events throughout the year.